Apparently there’s a lot of crazy people out there. I’ve discovered I’m not the only one. 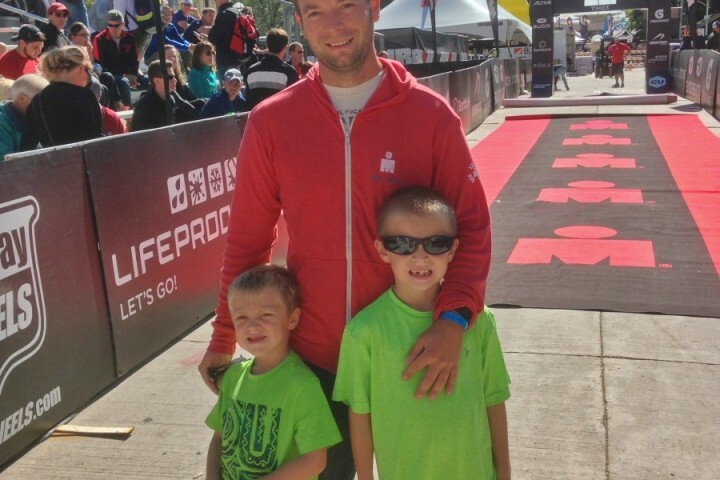 There’s enough of us that three individual triathlons have been combined into a single event, catering to the crazy few that see a single triathlon as not large enough of a challenge. 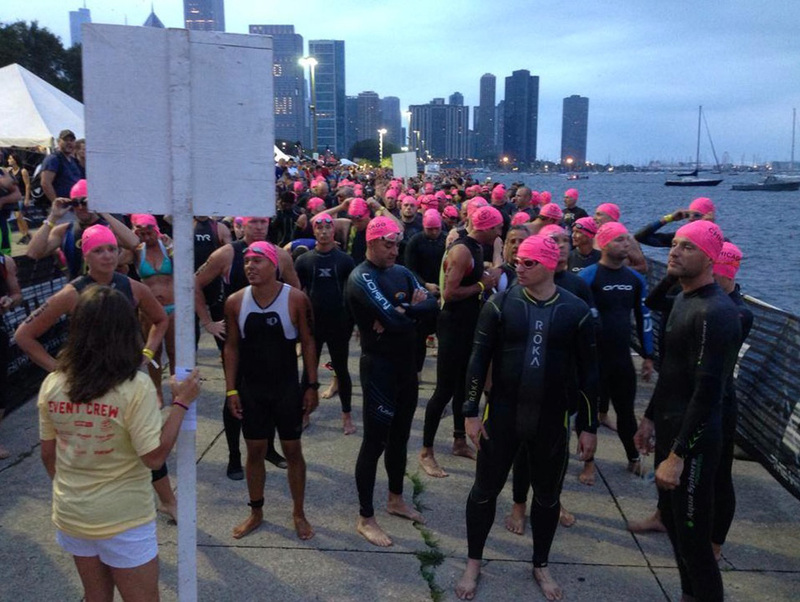 This event is the Chicago Triathlon Triple Challenge. 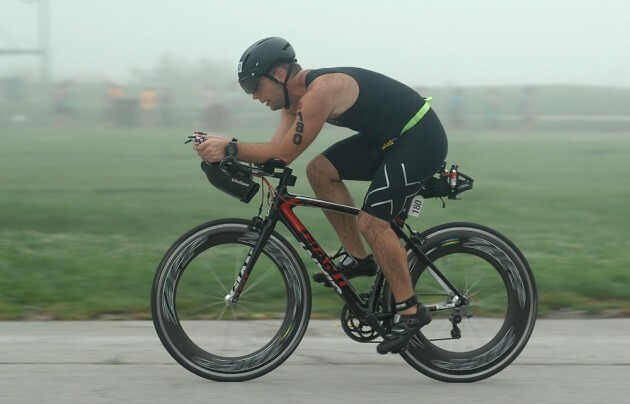 You get to do one SuperSprint, Sprint and Olympic triathlon in the span of about 30 hours, “for a total of 59 miles that includes 1.63 miles in the water, 46.3 miles on the bike and 10.85 miles on the run.” Looking at those numbers, I realized that it was about a half Ironman and I thought this would be a perfect Ironman test. 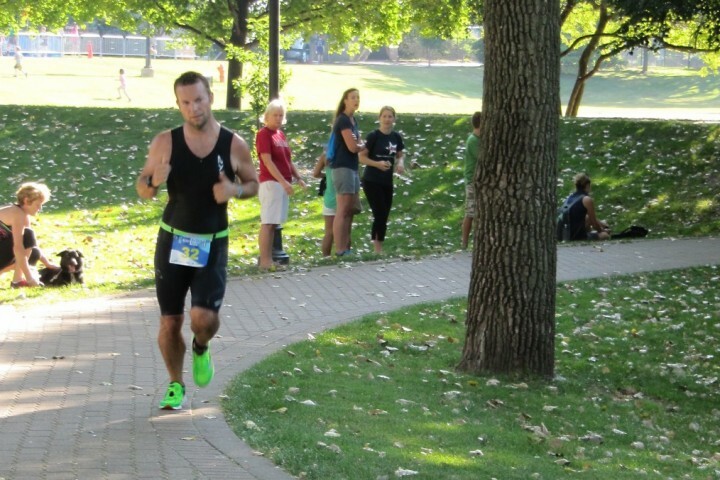 If I could do this without trouble, I’d work towards completing a full Ironman in 2015. 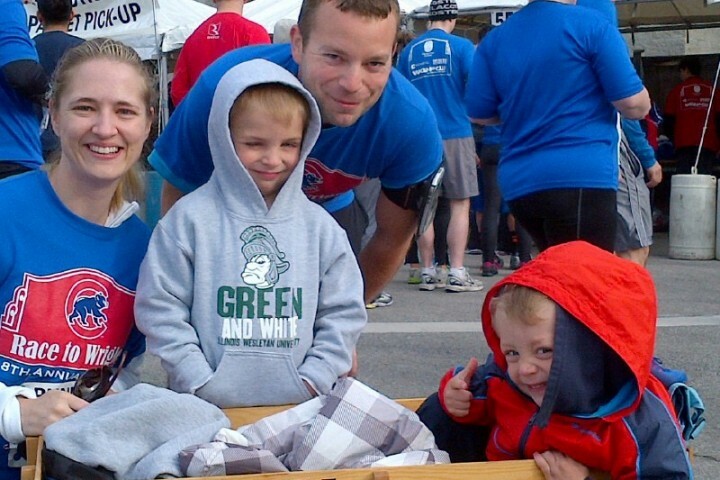 In 2014, the order was a SupersSprint on Saturday morning. Then you get to have a nice sleep before starting off for the second, Olympic or International distance race (directly after the pros), and then three and a half hour later you take on a Sprint triathlon as the last wave of the day/event. You’d better be fast, as the time between the two races is not rest time. If you take up all three and a half hours racing the olympic, you end up doing back-to-back races. They gave us pink caps so everyone could spot the crazies. 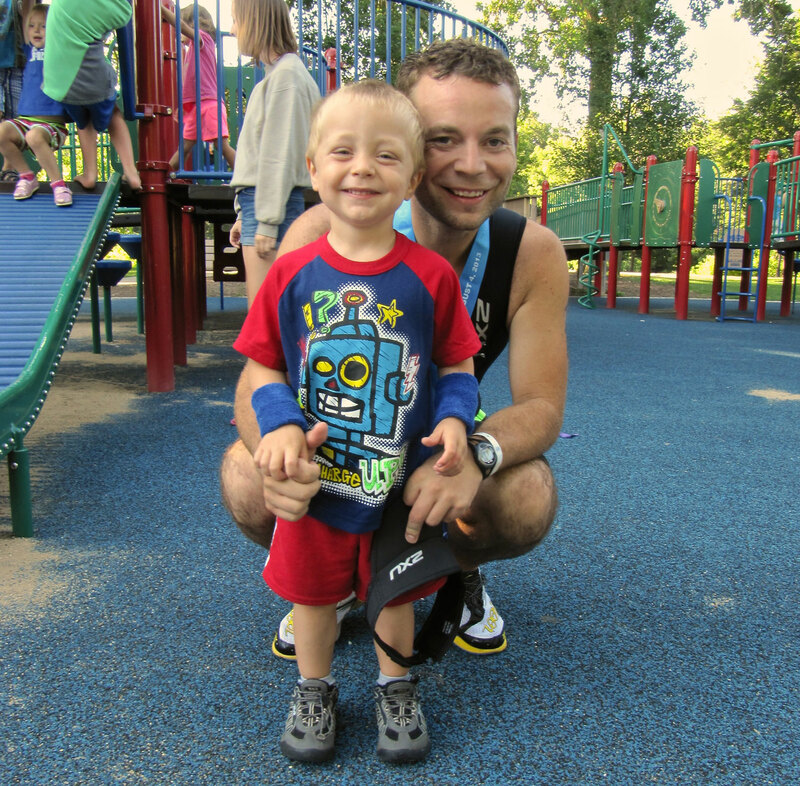 Having never done a SuperSprint, I was mentally unprepared. They’re not joking with the name. This thing was fast. I held back when I should not have, letting my body warm up when I should have been full throttle the whole time. It took me 40:13, which is not bad, but I think I could have shaved a few minutes from my run had I known just how short it felt. Almost podium’d! Let’s see how many chins I can make while finishing. The International was a great race, I felt good and only made one mistake, which I got away with, taking a corner too fast and going into oncoming traffic, or would have, had there been any. Just relax! (I’m in the blue-sleeved ORCA suit to the right. I was not nearly as fast as my last Olympic/International race, but it wasn’t anything to be ashamed of either. After all, I had another race in an hour. Again, my run was pathetic, while my swim was great in comparison. My 2:40 Olympic time gave me about an hour’s rest before my next race. I spent that time eating and resting on the steps, watching other people begin their race weekend. A few bananas and (apparently not enough) water was going to fuel me for one more 1.5 hour push. 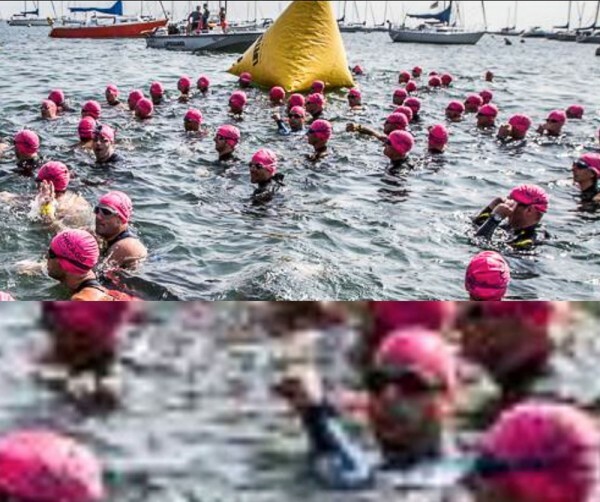 Just before we start our swim. Let’s get this race going! Shamefully, one of the best feelings during the Sprint was getting to pass all the casual triathletes as I raced through the course. I’d fly by people in their upright 50lb+ cruisers with me in full aero position on a carbon bike with deep dish wheels. Not fair, but it gave me energy just when I needed it. I daresay I look fast. 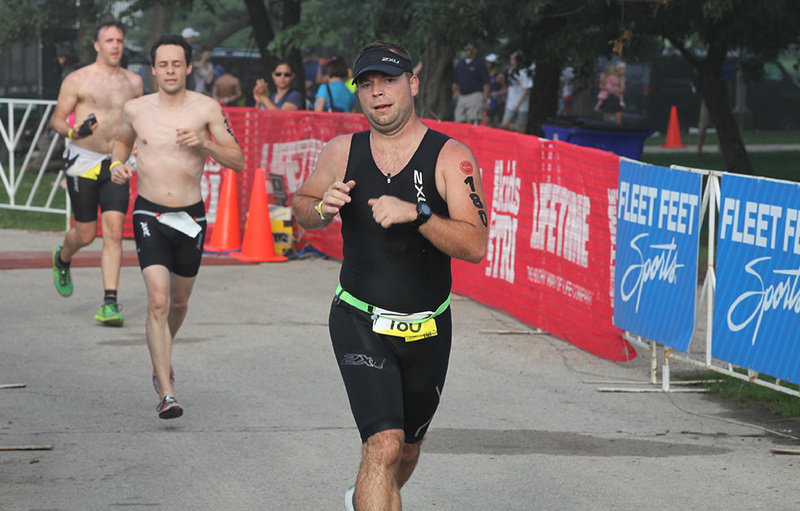 I kept a good pace on the swim, almost taking half the time to go half the distance. 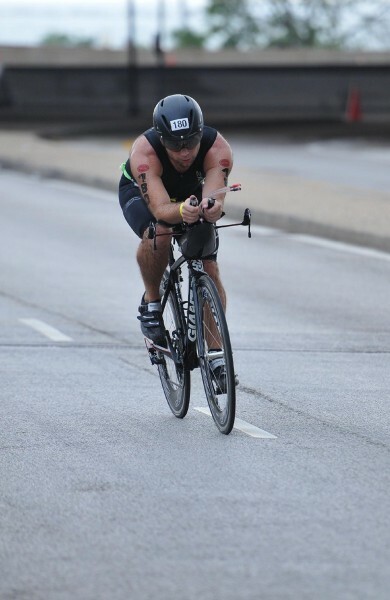 My times slipped a bit more on the bike leg, and actually held on through the run. 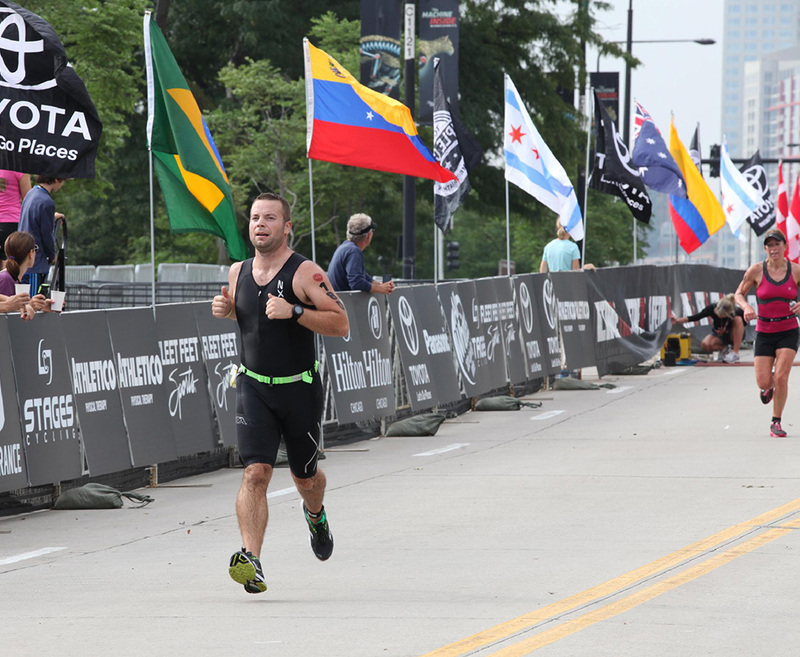 I ended up moving up a few places in my division, as compared to my International tri, meaning I had achieved my goal of testing my Ironman preparedness. 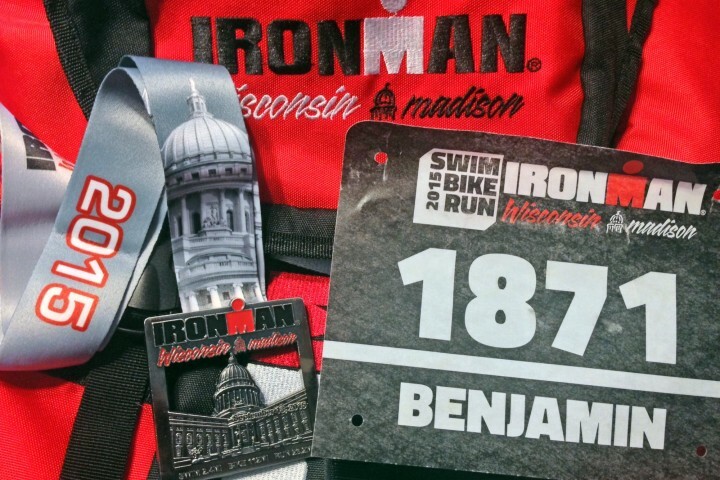 I will be joining the crazy few in 2015 for another weekend of fun, and more importantly, signing up for the 2015 Ironman Wisconsin.